Like all our trailers, our drop deck trailers are solid, versatile and custom-made. With a full hand-fabricated chassis our strength and durability is unsurpassed. 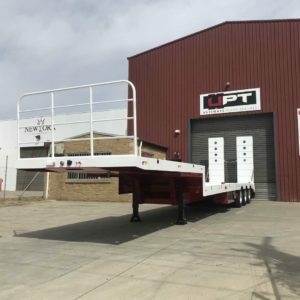 Our drop deck trailer fabricators can provide endless options unique to Ultimate Plant Trailers, including custom lengths and axle groups to suit your needs. Give us a call to discuss your needs. 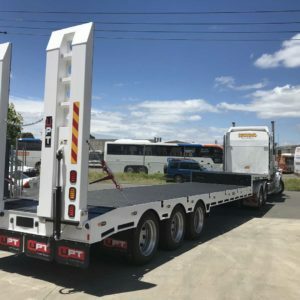 We specialise in a huge range of custom trailer fabrications, from tag trailers to bogie axle trailers to two, three and four axle dog trailers.